1st stage: When someone does a good deed under a cunning thought i.e. to acquire money, glory, or honor. When goodness is mixed with evil. 2nd stage: The half-completed implementation of a good deed. 3rd stage: Temptation or deceit. i.e. the temptation that comes from the devil but which can also derive from the world or the human body and the soul is tempted through the five senses. 4th stage: The union of the nous (mind) with the temptation. 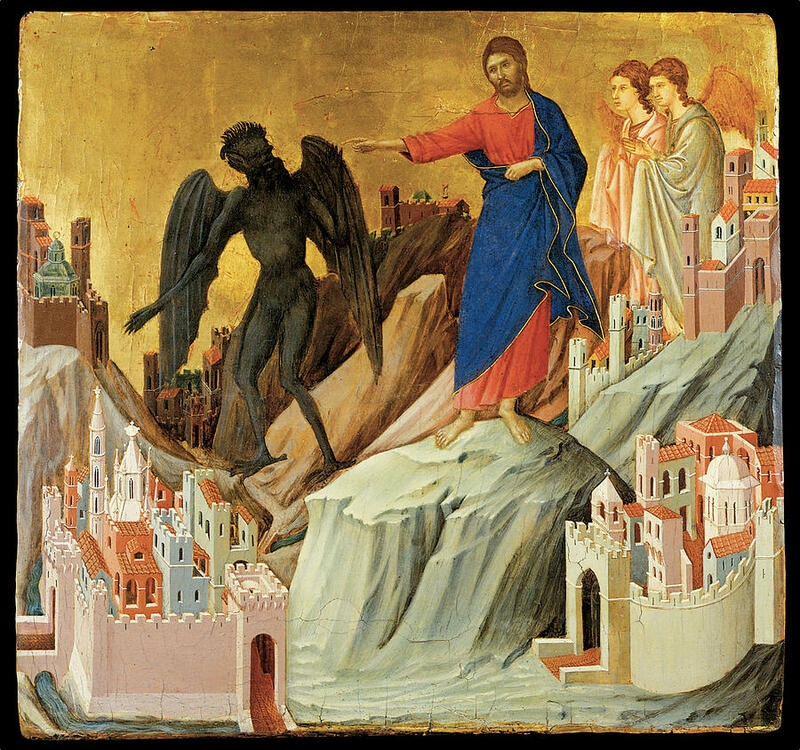 5th stage: The battle between the nous, the soul and the temptation. Up to this point sin is still not incubated. However, from this stage and onwards, the nous is gradually captured by sin and this already brings down the wrath of God. Why was Jesus crucified on the cross? The essence of sin is the failure to love. In their rebellion, Adam and Eve refused the “divine love made food” offered to them by God, preferring instead life on their own. Cut off from loving communion with God, mankind has become enslaved to its own self-centeredness, the inevitable consequence of which is death. God, however, was not willing that the creature which bore His image should simply return back to the nothingness from which he was created. Yet only one thing could accomplish this: a love stronger than man’s failure to love, ultimately, a love stronger than death. In our fallen existence, this profound self-emptying must inevitably take the form of sacrifice and suffering for such love is no longer natural to us. This is why the Apostle Paul insists that the self-emptying of Christ was unto death, even the death of the Cross. It was not enough that God simply appear on earth as man and teach us a better way to live. For a man to be healed of his sin and achieve the purpose for which he was created, this “divine Love made flesh” had to enter into the lowest depths of human existence. He had to partake, in His own person, of the ultimate consequences of man’s sinfulness. on 22 March 2014 . Great Lent is now upon us. It is a time for what Fr. Alexander Schmemann (of blessed memory) called "bright sadness." It is a time, above all, for reflection and movement back to God. Sin, in literal translation, means "missing the mark." Not being where we should be. Where we should be, but are not, is in communion with God. So, for practical purposes, sin is separation from God. And, by definition, separation from God is death — because life can only exist where God is present. Great Lent is the time when we try to reverse the effects of sin in our lives. We are, since sin came into the world with the very first person created by God, "consumers," filling ourselves with everything. Food, possessions, material wealth, sexual adventures, various and sundry substances (not just drugs, but alcohol, etc.) all become simply "ways" to satisfy our urges. During Great Lent, we fast in order to restore the proper understanding and balance between our desires and the basic necessities that God provides for our nurture. Food is denied not because it is bad, but because we only need a little. Food is restored to its proper place. Prayer, both personal and corporate, is also important during the lenten season. Hunger that grows with our fast should be transformed by prayer into a hunger not for food, but for God Himself, who is the Bread of Life and the Fountain of Holiness. Fasting without prayer is like the man who had the unclean spirit and cleaned it out, but left his heart empty, so seven spirits even MORE unclean than the first possessed him. But the most personal and difficult aspect of our effort is the journey to the Sacrament of Confession. Confession of our sins is basic and necessary. 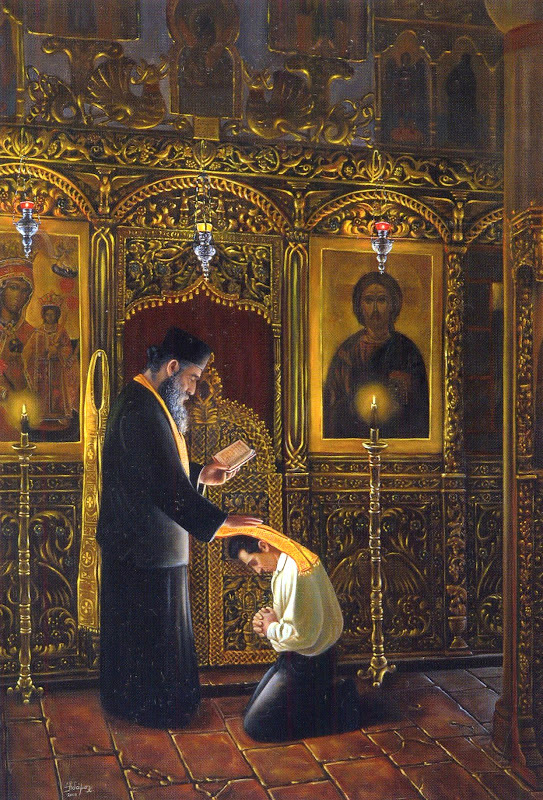 But Confession in Orthodox Tradition has always been face-to-face — a hard journey! Many people outside our faith wonder why we simply do not confess our sins in private "to God." The answer is very simple — God already "knows" about our sins. Confession is a gift from God that allows us to not only confess our sins, but to receive the assurance of God's forgiveness and the spiritual guidance that we need to help us overcome these sins.